“If insect species losses cannot be halted, this will have catastrophic consequences for both the planet’s ecosystems and for the survival of mankind,” said Francisco Sanchez-Bayo, at the University of Sydney, Australia, who wrote the review with Kris Wyckhuys at the China Academy of Agricultural Sciences in Beijing. One of the biggest impacts of insect loss is on the many birds, reptiles, amphibians and fish that eat insects. “If this food source is taken away, all these animals starve to death,” he said. Such cascading effects have already been seen in Puerto Rico, where a recent study revealed a 98 per cent fall in ground insects over 35 years. 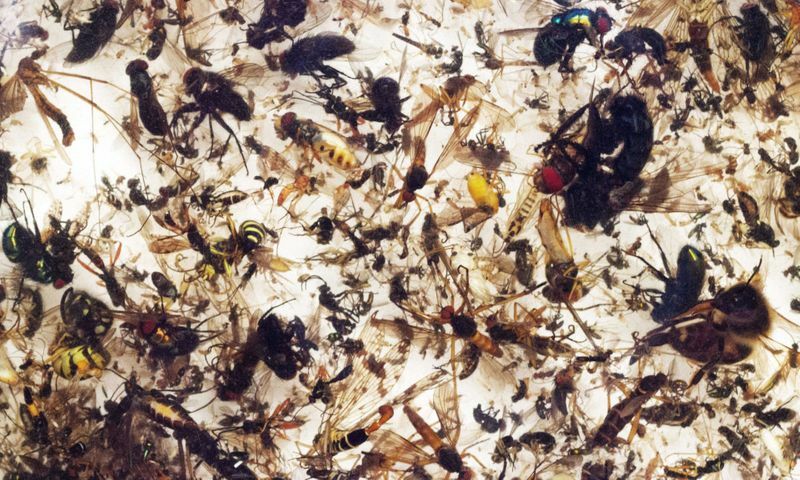 The new analysis selected the 73 best studies done to date to assess the insect decline. Butterflies and moths are among the worst hit. For example, the number of widespread butterfly species fell by 58 per cent on farmed land in England between 2000 and 2009. 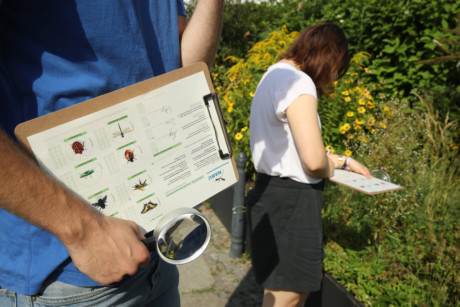 The UK has suffered the biggest recorded insect falls overall, though that is probably a result of being more intensely studied than most places. “The main cause of the decline is agricultural intensification,” Sanchez-Bayo said. “That means the elimination of all trees and shrubs that normally surround the fields, so there are plain, bare fields that are treated with synthetic fertilisers and pesticides.” He said the demise of insects appears to have started at the dawn of the 20th century, accelerated during the 1950s and 1960s and reached “alarming proportions” over the last two decades. He thinks new classes of insecticides introduced in the last 20 years, including neonicotinoids and fipronil, have been particularly damaging as they are used routinely and persist in the environment: “They sterilise the soil, killing all the grubs.” This has effects even in nature reserves nearby; the 75 per cent insect losses recorded in Germany were in protected areas. The world must change the way it produces food, Sanchez-Bayo said, noting that organic farms had more insects and that occasional pesticide use in the past did not cause the level of decline seen in recent decades. “Industrial-scale, intensive agriculture is the one that is killing the ecosystems,” he said. In the tropics, where industrial agriculture is often not yet present, the rising temperatures due to climate change are thought to be a significant factor in the decline . The species there have adapted to very stable conditions and have little ability to change, as seen in Puerto Rico. 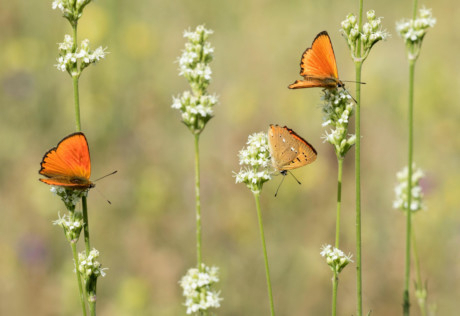 Prof Paul Ehrlich, at Stanford Universityin the US, has seen insects vanish first-hand, through his work on checkerspot butterflies on Stanford’s Jasper Ridge reserve. He first studied them in 1960 but they had all gone by 2000 , largely due to climate change.